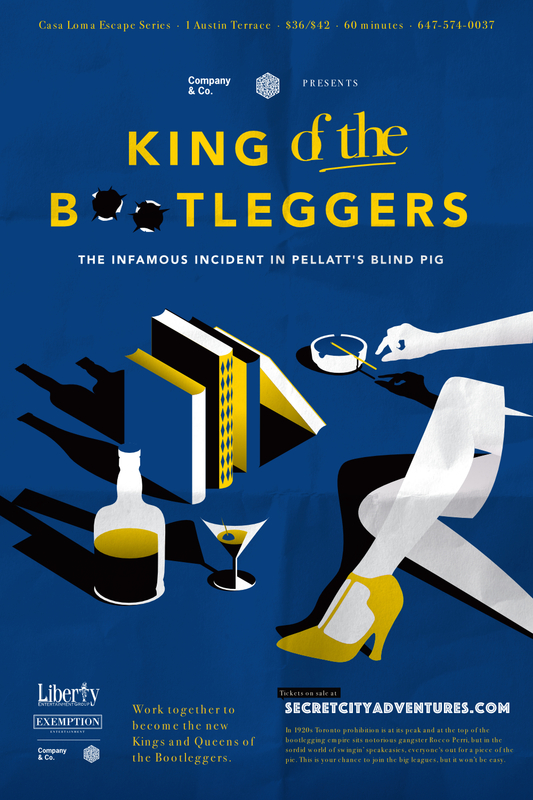 Will you become the new Kings and Queens of the Bootleggers? In 1920s Toronto prohibition is at its peak and at the top of the bootlegging empire sits notorious gangster Rocco Perri, but in the sordid world of swingin’ speakeasies, everyone’s out for a piece of the pie. You receive an invitation to a secret meeting at Rocco’s infamous bar hidden inside Casa Loma. Bessi Perri has set her sights on her husband’s moonshine throne and is assembling a gang to take him down and needs your help. This is your chance to join the big leagues, but it won’t be easy. Details and tickets at Secret City Adventures.